Private transportation options are the best way to travel for families, groups of three or more, or when you want to travel comfortably on your own schedule. Let us take care of you while you comfortably travel from one tourist destination to another, from hotel to hotel, in new, air-conditioned vehicles while you enjoy the spectacular views that Costa Rica offers. The vehicle provided will depend on the number of passengers traveling together. The vehicle will have all required permits and meet all safety requirements. The vehicle will have sufficient space for your luggage; usually the luggage will be inside with you for maximum security; if that will affect your comfortability the luggage may be strapped to the roof under weather protection. You choose the departure time which allows you to get the most out of our vacation; early or late it’s up to you! 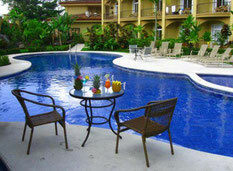 We will pick you up from the hotel you indicate and take you on to your next destination. Pricing according to your departure and arrival destination. Let us know how many people are traveling with you and we will send the price that applies. During the trip our driver will be in the best disposition of stops for you to enjoy the delicious costarican food, or to stop on the rood to take pictures that are going to be part of your memories of your visit to Costa Rica. Since 2002 hundreds of tourists have enable us to provide our transportation services according to their needs, being completely satisfied and recommending us to their friends and families. 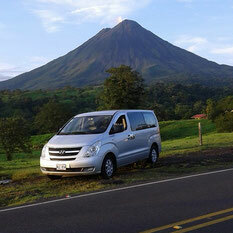 Tourism Transportation Services to travel comfortably and peacefully while enjoying views of the country as you travel. Please let us know where do you want to go, to send you details and rates, fill out the form and we will answer as soon as we can. We also offer you the service of guide transportation; one of our naturalist guides will provide you important information during the trip.